Huddersfield held Pep Guardiola’s side to a goalless draw at the Etihad Stadium. 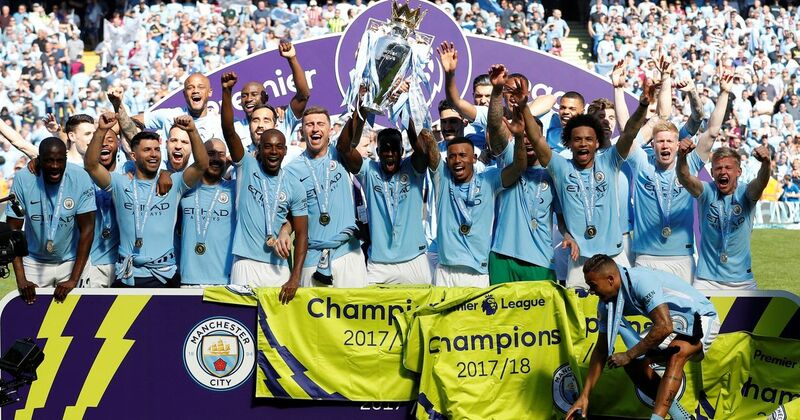 It took three weeks for Manchester City captain Vincent Kompany to finally get his hands on the Premier League trophy but, on a day of celebrations at the Etihad, a goalless draw may prove to have left Huddersfield Town as the big winners. 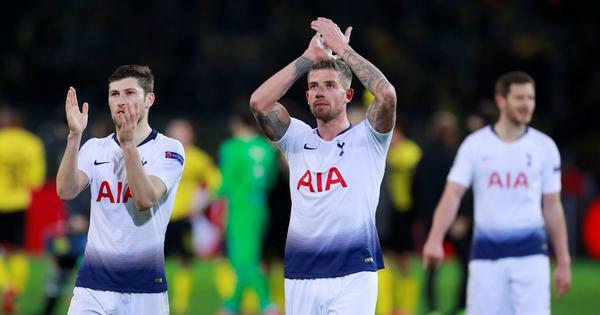 A strong showing from the struggling visitors earned a valuable point which may be enough to keep them in the Premier League next season, an impressive achievement given their limited budget. They also kept at bay the bid by Pep Guardiola’s runaway champions to set new Premier League records for the most goals, points and wins in a season – all marks which could yet be claimed by City in the season’s final week in which they play Brighton and Southampton. But, after a delay while uninvited supporters were removed from the field, Guardiola was finally able to see his team presented with the trophy, the third major country in which he has managed a team to a title following successes in Spain and Germany with Barcelona and Bayern Munich respectively. The celebrations for City’s third title in seven seasons began well before kick-off, both inside and outside their Etihad home ground. Supporters were issued with blue and white flags, creating a colourful vista to greet the champions as they were given yet another guard of honour on their way onto the field before kick-off. They were also met by the survivors of City’s famous 1968 Championship-wining side, a squad led so memorably by club legends Colin Bell, Francis Lee and Mike Summerbee who were all on hand to receive an emotional welcome from fans who remember their legacy half a century on. Having won the league three weeks earlier, when closest rivals Manchester United surprisingly lost at home to West Brom, these title celebrations have been curiously drawn out. There had been none of the edge-of-the-seat drama that so famously brought City their first Premier League title, when Sergio Aguero scored with virtually the last kick of the season against QPR in 2012. And the fact that City have now received three guards of honour for opponents before games has not been well received in some quarters, with some traditionalists arguing it has lessened the resolve of their rivals. But, in contract to comfortable City wins against Swansea and West Ham, there was no hint of Huddersfield showing the champions too much respect when the contest finally got underway at the Etihad. Victory would have guaranteed Huddersfield safety and another season of top flight football. David Wagner’s men might have been on course for just such an upset result in an entertaining, if goalless, first half but Ederson denied Florent Hadergjonaj and Alex Pritchard. A City side that had been held goalless in just one previous league game – a draw at Crystal Palace on New Year’s Eve – inevitably carved out chances of their own with Jonas Lossl saving well at David Silva’s feet after five minutes and, unknowingly, stopping a fierce Kevin De Bruyne shot. By the interval, Huddersfield were visibly wilting in the Manchester heat and facing the prospect of a long second half of attrition. City started brightly, with Christopher Schindler clearing off his line from a scramble at a Leroy Sane corner, but otherwise Huddersfield defended manfully and substitute Scott Malone might even have snatched a dramatic injury-time winner for the visitors. But the response from Huddersfield’s players, and Guardiola’s heartfelt congratulations to his opposite number Wagner on the final whistle, demonstrated the importance of the point to the visitors who now join Everton and Manchester United as the only sides to have avoided defeat at the Etihad in the league this season.